The Center for Defending Freedom of Journalists (CDFJ) has published a guide instructing public institutions on how to properly apply the Access to Information Law. 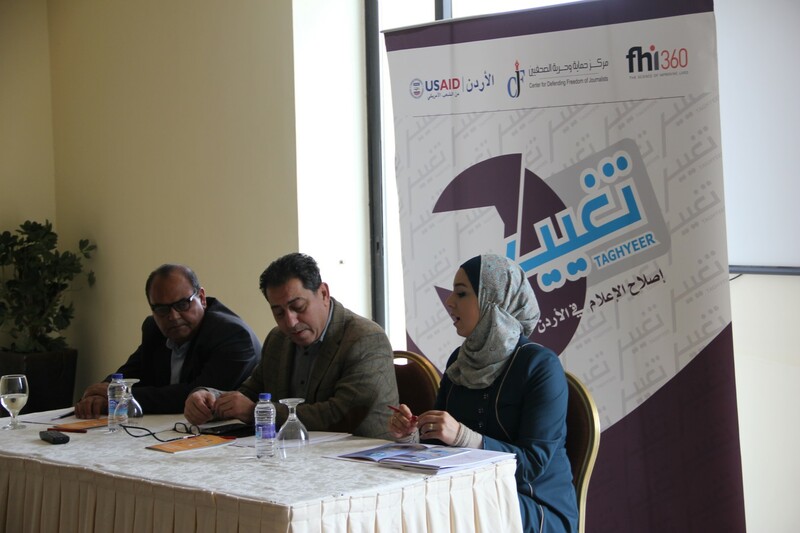 CDFJ’s Executive President Nidal Mansour announced the completion of the guide in a press conference attended by members of the press and public relations officers from several public institutions. The guide, considered the first of its kind in Jordan and the Arab World, contains instructions on implementing the 2008 Right to Access Information Law (No. 48) in government ministries and public institutions. Mansour added that “despite the passage of many long years since the adoption of the law the strange fact is that it has yet to be implemented in state ministries and public institutions. Any application of the law is very weak as is the expertise in dealing with it and the understanding of its importance. Mansour also announced that CDFJ will be working in partnership with the King Abdullah II Center for Excellence to integrate right to access information indicators into the criteria for the King Abdullah II Award for Excellence in Government Performance and Transparency. Waleed Husni, who participated in the preparation of the guide, says that the goal of the project was to explain the law’s provisions in simple terms and facilitate their implementation. For her part, Mira Teem of the Jordan Securities Commission, asserted to the guide’s importance, saying that it will make the implementation of the law in government institutions much easier than if they had to rely only on the text of the law itself. The guide is split into two sections. The first section is a simple step-to-step guide to implementing the Right to Access Information Law in public institutions whereas the second section contains a study by the Canadian legal expert Toby Mendel that includes principles and best practices for implementing right to information laws. The first section focuses on the proper application of the right to access information law based on the provisions of the law itself. For example, the guide defines the position of information officer, his or her role in public institutions and the proper procedure for appointing this officer. Additionally, the guide touches on subjects ranging from information registries and their organization to how to respond to requests for information. Finally, the guide categorizes different types of information according to the Right to Access Information Law, proper management of categorized and non-categorized information and mechanisms for maintaining information and documents. The guide’s publication comes as part of CDFJ’s “Tagheer” project funded by the United States Agency for International Development implemented by FHI360.